^ Gladstein 2003, pp. 384–386; Delbroy, Bibek (2006). "Ayn Rand—The Indian Connection". In Machan, Tibor R (ed.). 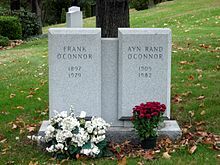 Ayn Rand at 100. New Delhi, India: Pragun Publications. pp. 2–4. ISBN 978-81-89645-57-1. OCLC 76829742. ^ a b Benfer, Amy (July – August 2009). "And the Rand Played On". Mother Jones. Archived from the original on May 3, 2011. Retrieved April 15, 2011. Badhwar, Neera; Long, Roderick T. (June 8, 2010). Zalta, Edward N. (ed.). "Ayn Rand". Stanford Encyclopedia of Philosophy. Retrieved June 16, 2010. Kukathas, Chandran (1998). "Rand, Ayn (1905–82)". In Craig, Edward (ed.). Routledge Encyclopedia of Philosophy. 8. New York: Routledge. pp. 55–56. ISBN 978-0-415-07310-3. OCLC 318280731. Rand, Ayn (1982). Peikoff, Leonard (ed.). Philosophy: Who Needs It (paperback ed.). New York: Signet. ISBN 978-0-451-13249-9. Rand, Ayn (1989). Peikoff, Leonard (ed.). The Voice of Reason. New York: New American Library. ISBN 978-0-453-00634-7. OCLC 18048955. Rand, Ayn (1995b). Berliner, Michael S (ed.). Letters of Ayn Rand. New York: Dutton. ISBN 978-0-525-93946-7. OCLC 31412028. Rand, Ayn (1997). Harriman, David (ed.). Journals of Ayn Rand. New York: Dutton. ISBN 978-0-525-94370-9. OCLC 36566117. Salmieri, Gregory & Gotthelf, Allan (2005). "Rand, Ayn (1905–82)". In Shook, John R. (ed.). The Dictionary of Modern American Philosophers. 4. London: Thoemmes Continuum. pp. 1995–1999. ISBN 978-1-84371-037-0. OCLC 53388453. Sciabarra, Chris Matthew (November 1, 2010). Ayn Rand: The Russian Radical. Penn State Press. 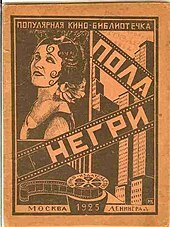 p. 28. ISBN 0-271-04236-2. Badhwar, Neera K.; Long, Roderick T. (October 4, 2010). "Ayn Rand". In Zalta, Edward N. (ed.). Stanford Encyclopedia of Philosophy.